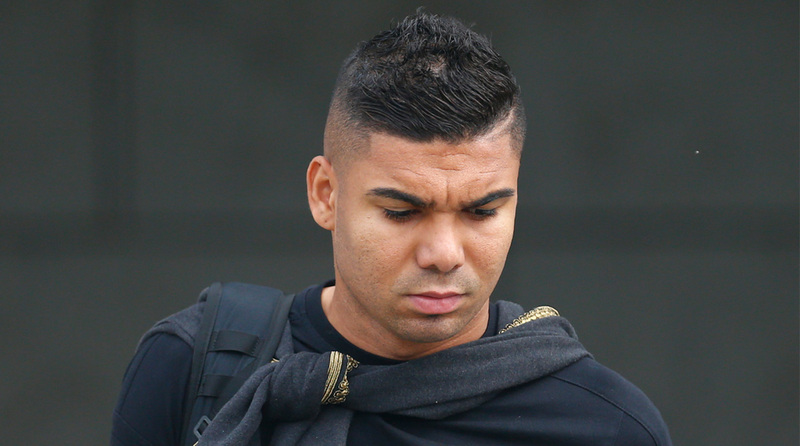 Casemiro refuted suggestions that Brazil’s failure to reach the semi-finals represented failure. Brazil midfielder Casemiro has defended midfielder Fernandinho after the Manchester City player scored an own goal in their 2-1 loss to Belgium in the World Cup quarter-finals. Making his first start of the tournament, replacing the suspended Casemiro, Fernandinho endured a personal nightmare in an error-strewn performance that included a deflection off his arm from a corner that gave Belgium an early lead, reported Xinhua news agency. Friday’s result eliminated the five-time world champions from the tournament in Russia and set up a semifinal clash for Belgium against France. “When we lose, everybody loses. When we win, everybody wins,” Casemiro told reporters upon the team’s arrival in Rio de Janeiro on Sunday. “He had bad luck at that moment, but at other times he proved his worth. He’s a great player and we have faith in him. Sometimes these things happen in football,” he added. “People can say that Brazil always have to win but the overall balance has been positive. “There are a lot of good things to come out of it. Two years ago we ran the risk of missing the World Cup and then we were favourites. It’s not the end of an era. You have to recognize the positives,” he said. Tite received the loudest applause from dozens of fans who had gathered at the airport terminal to welcome back their heroes. The 57-year-old spoke briefly to reporters before being whisked away by team minders.